Amazon has updated its 8-inch Fire HD 8 tablet but kept the price at its low level; the tablet still starts at just $80. Most notable updates: Alexa and wireless charging. The fact the Amazon Fire HD does everything it says it will is reason enough to be impressed. You’ll have to pay a lot more to do better. 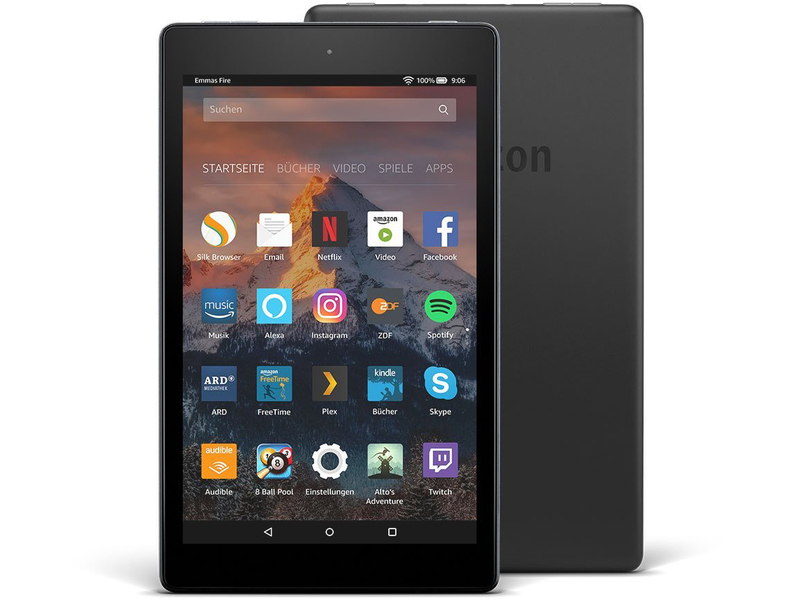 The Fire HD 8 is the best budget tablet if you want to spend less than £100 on a tablet that streams Amazon Prime Video and Netflix. There is no better option. The Amazon Fire HD 8 is a really good tablet at a impressive price. It’s made even better if you pair it with Show Mode dock. For £109.99 this is a great package. It's much less powerful than an iPad, but Alexa gives this compact tablet a unique bonus and it's fantastic value. The Amazon Fire HD 8 (2018) bets big on its Alexa skills and low price, and mostly succeeds in making a positive first impression. But with laggy performance, poor software and a mediocre screen, it isn’t an easy recommendation even when this cheap. You get a lot of tablet for £80 – bargain hunters will lap it up this Christmas. qIt is the same as older models though, save for Show Mode. If you also buy the Show Mode Charging Dock, it’s a very affordable way to have a smart display in the home with the convenience of a tablet to carry daily. The 2018 edition of the Amazon Fire HD 8 remains the best media tablet you can get for under $100. Positive: Good price; reliable device. Positive: Good price; excellent display; large internal memory; high autonomy; decent speakers. Negative: Heavy and bulky; poor cameras; only 1.5GB RAM. 60% Test De L'Amazon Fire Hd 8 (2018) : Une Tablette Pas Chère, Mais À Quel Prix ? 79.46%: This rating is not convincing. The laptop is evaluated below average, this is not really a recommendation for purchase.